With an increasing focus on the life issues, can I count on your support? In January, there was an intense focus on the life issues in both the U.S. House of Representatives and the U.S. Senate. I just received an email from Jennifer Popik, J.D., your National Right to Life legislative director, updating me on the status of pro-life legislation. I hope you are as excited as I am about our progress. Pro-abortion Democrats are their usual obstructionist selves. Senate Democrats stalled the House-passed Pain-Capable Unborn Child Protection Act, but they are fighting a losing battle. More than 60% of the America public is behind us. If that weren’t extreme enough, on January 19, the House of Representatives passed the Born-Alive Abortion Survivors Protection Act. All Republican members of the House voted for the bill, but only six Democrats voted in favor of providing just basic care to abortion survivors! It’s shear madness. Just last week, a triumph years in the making. We repealed the Independent Payment Advisory Board (IPAB), that unelected bureaucratic monstrosity created by Obamacare. You may remember in 2010 it was dubbed the “death panel.” The IPAB would have imposed drastic limits on the money Americans could spend out of their own funds to save their own lives and the lives of their families. This is very encouraging but only a beginning. I need your help so that your National Right to Life can go toe-to-toe with organizations such as Planned Parenthood and NARAL with their billionaire backers like George Soros. I need your help to build momentum so that bills can reach the desk of pro-life President Donald Trump. I need your help because the babies rely on you and on me. 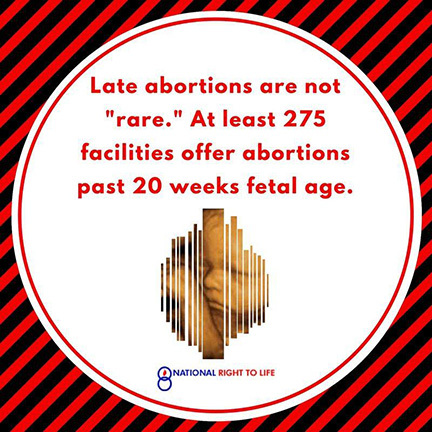 With your donation of $25 or $50 today, we can help pass laws to protect pain-capable unborn babies and to stop those who would treat a born-alive baby as nothing more than a source for organ harvesting, or as a creature who may be subjected to lethal violence with impunity.